Nothing undermines the British fondness for the Algarve. We love Portugal in general and the Algarve in particular come hell or high euro. 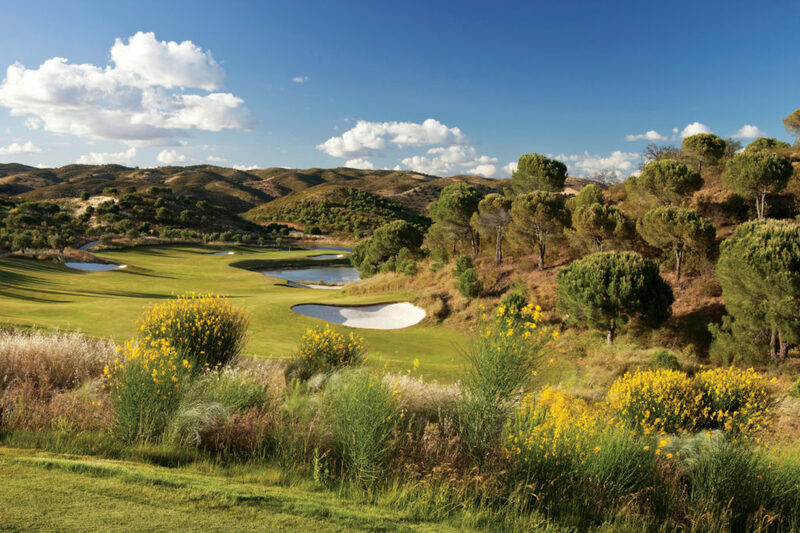 While other foreign golfing destinations flit in and out of fashion, the Algarve’s appeal endures. Apart from the benign climate, one reason we Brits love the Algarve is that the Portuguese appear to love us. Close historical links Britain and Portugal – rooted in a mutual suspicion of Spain, perhaps, and fostered by centuries of trade – are today maintained through golf. This friendship has been helped by the fact that the Brits who visit the Algarve from the numerous regional airports that connect to Faro tend to be (how can I put this without sounding snobby? ), a tad more sophisticated than those who flock to other parts of the Iberian Peninsula. Golfers, of course, know how to behave and make up a significant proportion of the holiday-makers in the Algarve. There is an old world charm and appreciation of traditional values in the Algarve which appeals to the British, especially those of a certain age. Although it would be wrong to imply that there’s nothing here for the young – you only need visit one of the scores of beautiful beaches along the spectacular coastline and see kids frolicking in the surf to realise how untrue that is. Nevertheless, the bulk of visitors, particularly outside the school holidays, tend to be more mature in age and outlook. Back from the coast is a hinterland of vineyards, olive, carob, fig and almond trees, which rise up the rolling hills and plains. Now is about the best time to enjoy the blossom and the full bloom of the countryside. 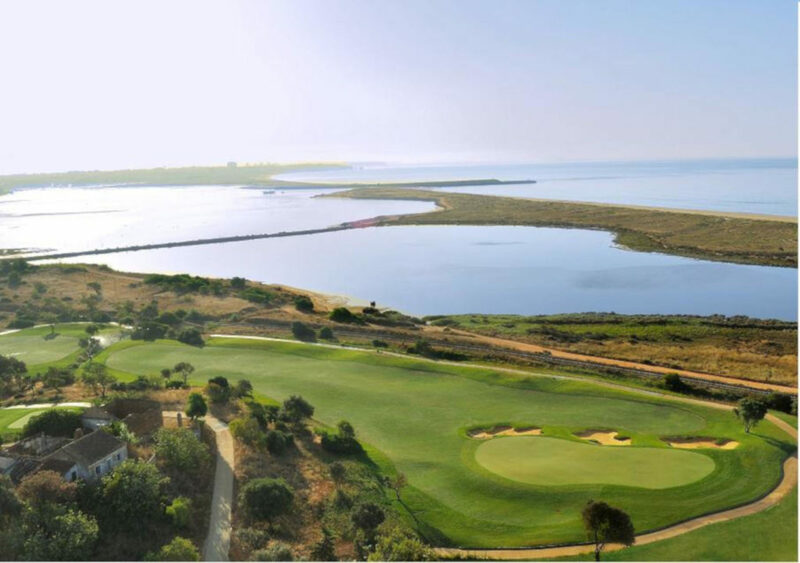 One golf course in particular which, if you time it right, is awash with almond blossom is the stunning Onyria Palmares, just east of the lovely old town of Lagos. Robert Trent Jones Jnr recently remodelled it and it now belongs up there with the very best. As we’ve started near the western end of the Algarve, let’s head steadily east and pick out a few of the finest courses on the way. For all sorts of good reasons, we simply have to stop off where it all began… Penina. The first of five courses that Sir Henry Cotton built in the Algarve, it remains a fitting memorial to the man and his vision. Opened in 1966, the Championship course is a delightful parkland challenge laid out on land previously used for growing rice. It has a wonderful lush and lovely feel that resembles a semi-tropical garden. The venue for several of Portugal’s Open Championships, an abundance of water renders it a much tougher prospect that its modest length might suggest. 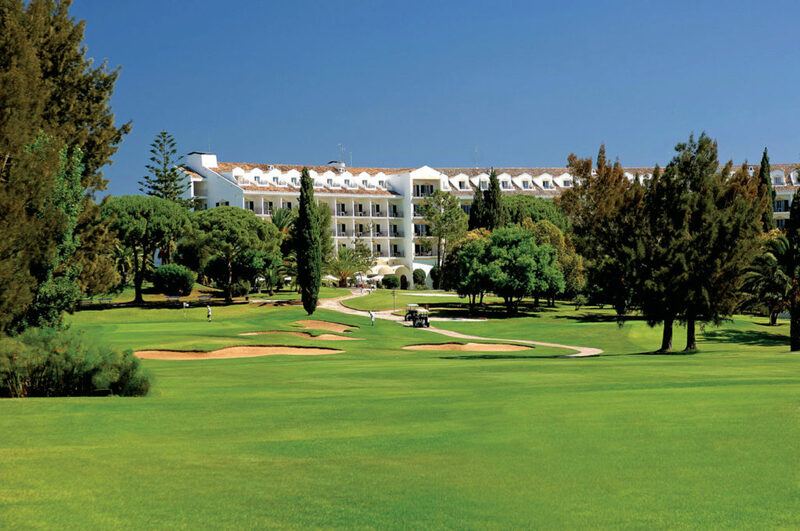 As we enter the purpose-built resort of Vilamoura with its magnificent marina, there is a clutch of quality courses, all of which could reasonably claim to be included in a list of the Algarve’s finest. 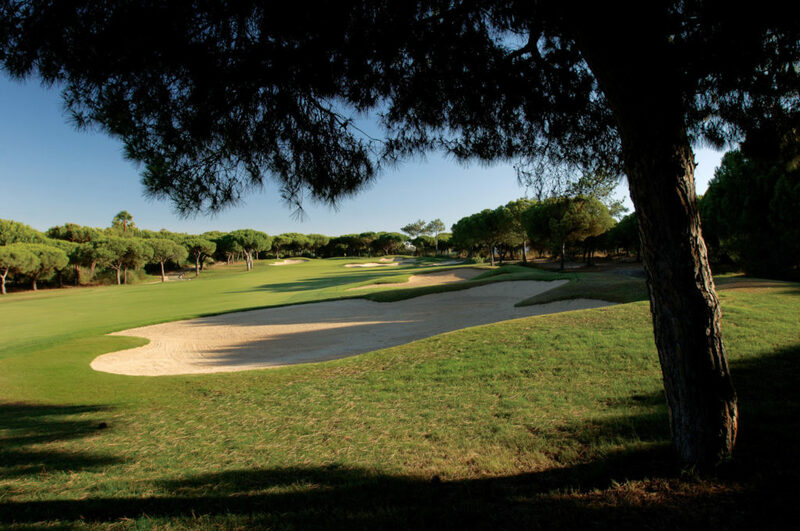 The Old Course at Vilamoura, as it is now known, is only a couple of years younger than Penina. Although altered and lengthened about 15 years ago, this lovely course, originally laid out by the legendary Frank Pennink, still retains an enchanting parkland atmosphere. Rather tight and with narrow fairways, the numerous umbrella pines have an unhappy knack of getting in the way. All that and rather small greens make it tough to score well. A self-imposed restriction allows me only one other Vilamoura course and that has to be Victoria. Unashamedly a wide open resort course, this Arnold Palmer design is a pleasure to play and, although there’s plenty of water to avoid, there’s a great deal of fun to be had as well. 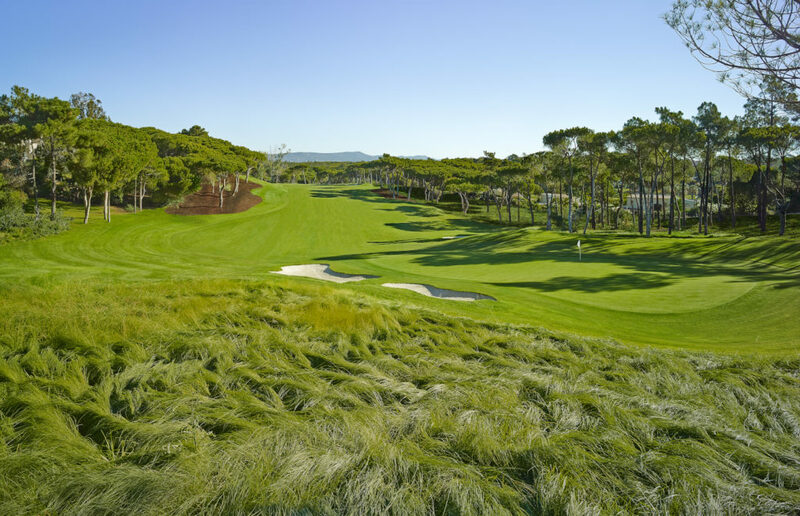 Host to the World Cup in 2005 and the now regular venue of the Portugal Masters, it offers a range of tees that can both test the pros and accommodate less accomplished players. 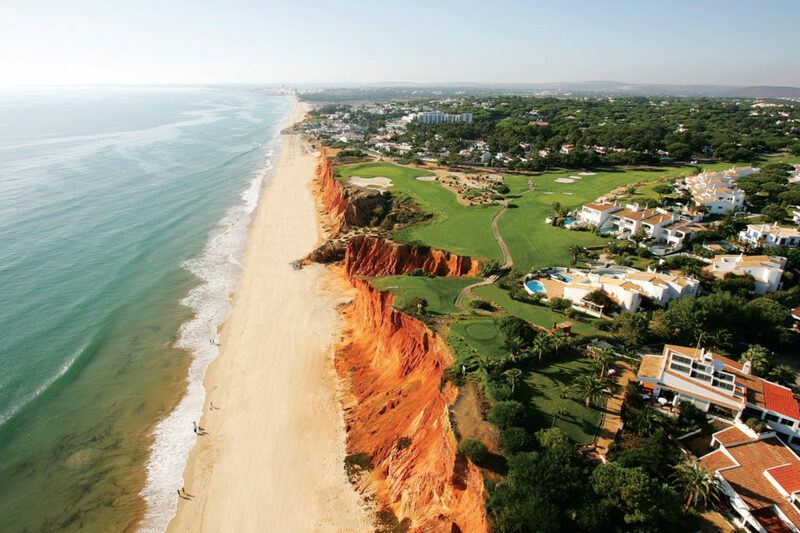 Just to the east of Vilamoura lies the impressive and upmarket Vale do Lobo estate. That man Cotton provided the inspiration when it was founded in 1962 and designed the first course. Don’t ask if it was the Royal or the Ocean as it was neither and both. His original layout has been split to form the basis of two courses. American architect Rocky Roquemore deserves the credit for sensitively developing the Cotton theme and creating the wonderful pair of outstanding courses that are there today. Although as Constable Dogberry said in ‘Much Ado About Nothing’, “Comparisons are odorous,” inevitably the question arises as to which is better. The generally accepted view is that the Royal is marginally superior. The fact that when the Portuguese Open was played here over a composite course in 1993, 13 of the holes were taken from the Royal would seem to support the ‘royalist’ argument. 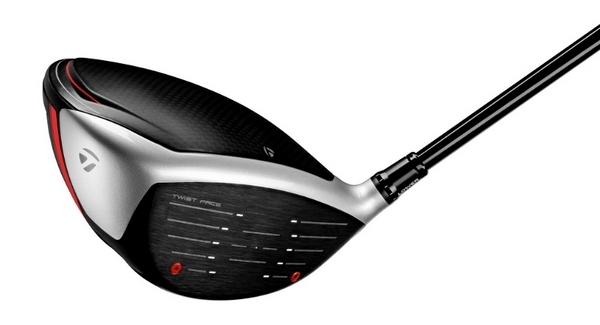 Undoubtedly the rolling fairways on the Royal are a lot tighter and put an enormous premium on accuracy. Stray off-line and the chances are you’ll tangle with an umbrella pine, fig tree or worse. The Ocean fairways are more generous and the course sweeps daintily down to the beach. Lovely lakes on both certainly add to the overall visual appeal. While there are inevitably arguments as to which course is superior, there surely can be no disputing which is the greatest hole. Even golfers who have never sipped a Super Bock or been within 500 miles of the Algarve will surely be familiar with the cliff-top, par-three 16th on the Royal. Two-hundred and thirty-eight yards off the tournament tees, it has to be the most photographed hole in Portugal and one of the most celebrated images in world golf. Indeed, it is emblematic of golf in the Algarve. 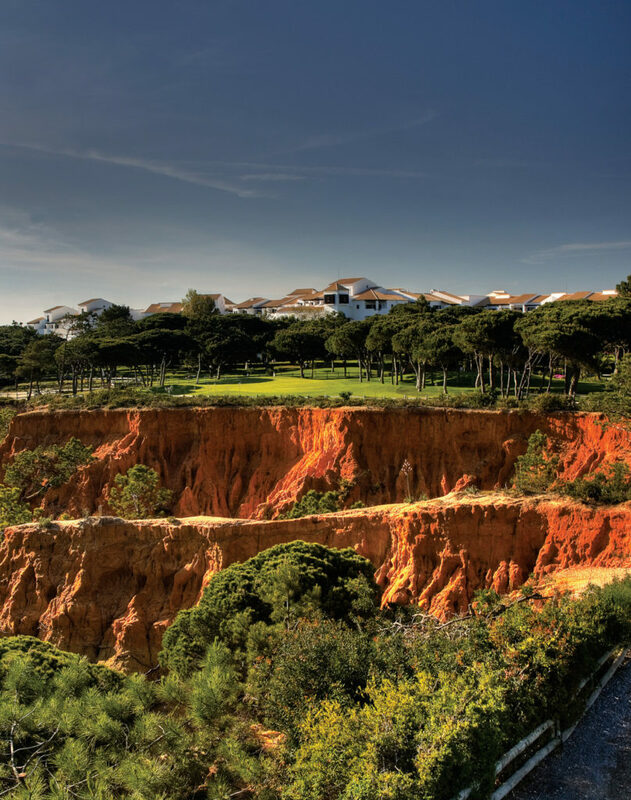 Just along the road from Vale do Lobo is Quinta do Lago, another exclusive golf and residential resort. We’re now about half way between Vilamoura and Faro and no more than about 20 minutes’ drive to either. If you want to stay in classy accommodation, I recommend the recently opened Monte da Quinta Suites. As well as being supremely comfortable, they are bang to the North Course. Originally nine holes, another nine were added 20 years ago and perceptive players may be able to spot two distinct styles. The sandy terrain is strewn with heather, gorse and pine trees and the overall impression is that of a rather American design. Although both are outstanding, the South Course is generally considered to be superior. 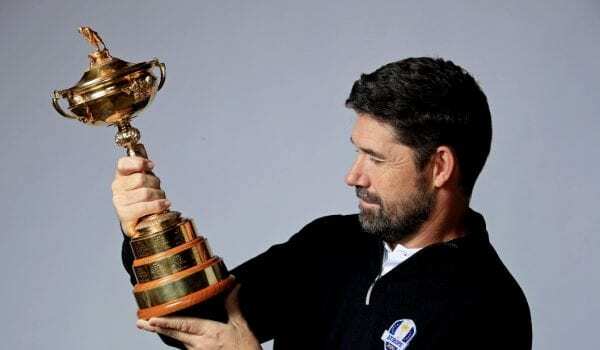 That might be in part because the Portuguese Open has been held on it eight times, the last occasion being in 2001 when Padraig Harrington won. Lakes, umbrella pines, a soft sandy soil that make walking a pleasure and superb views all contribute to a memorable round. 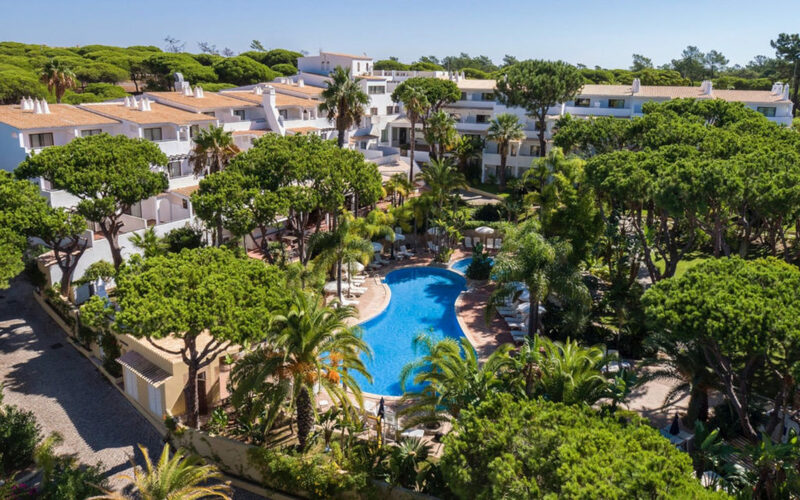 The Pine Cliffs resort features a 9-hole layout ideal for players of all ages and abilities, and makes a perfect base to explore all the Algarve has to offer. 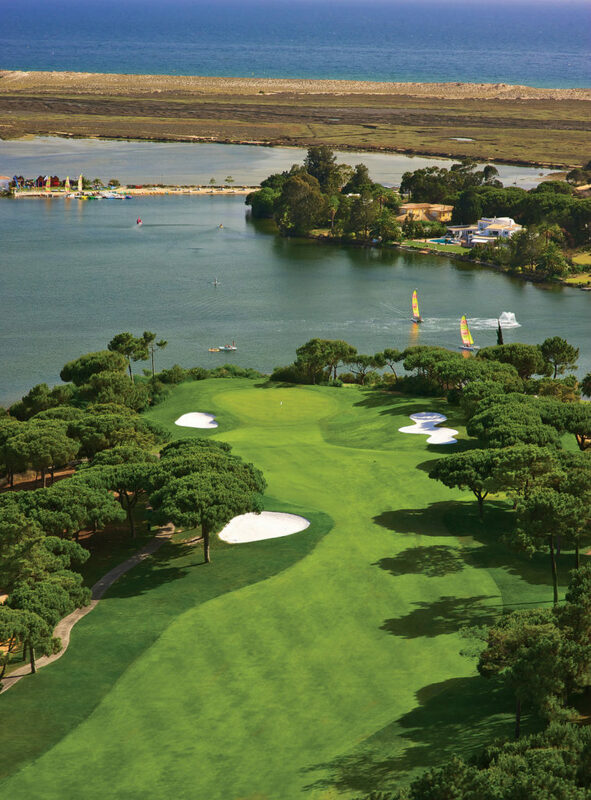 For more spectacular views of the Ria Formosa, you simply have to play stunning San Lorenzo. Regarded by many as the best course in Portugal, it really is extraordinarily pretty and the holes that run adjacent to the estuary are quite breathtakingly beautiful. With several elevated tees, tightish fairways and an abundance of water, it’s anything but easy. Regardless of how you play, however, you can’t fail to enjoy the scenery. The only unwelcome distraction will come from the aircraft flying in and out of nearby Faro airport. 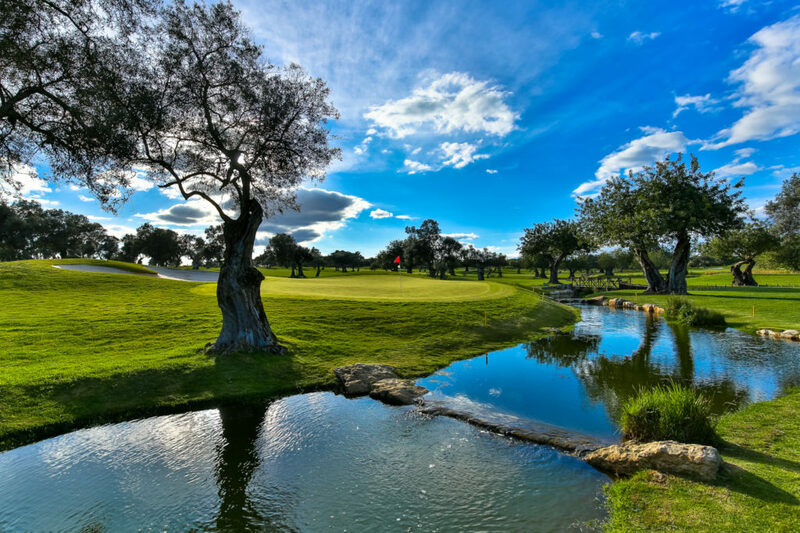 On the other side of Faro is an almost different golfing world entirely. Instead of turning left out of the airport, turn right and explore the far less fashionable Eastern Algarve. It’s less crowded, less developed and significantly cheaper than its western neighbour but – and here’s the rub – it has several outstanding golf courses. Just west of Tavira, the unofficial capital of the Eastern Algarve, and right by the sea is a pair of courses that are well worth a visit. Quinta da Ria and Quinta da Cima are not strictly sisters as they share a Christian name rather than a surname but there is no doubting that they are very closely related and live happily together. Although undoubtedly alike, each has her own distinctive personality and so there’s no problem telling them apart. Opened in July 2002, Quinta da Cima is the slightly younger and, at nearly 7,000 yards, the significantly longer of the two. The terrain is gentle enough to make walking a pleasure and, despite the fact that solar-powered buggies can be hired, you can easily manage without one. However, it’s not all plain strolling as there are dangerous clusters of bunkers to avoid as well as streams, waterfalls, fountains and lakes. Some of the olive trees comfortably qualify as super seniors, the oldest is reckoned to be about 850 years old and will have witnessed many historic moments, although nothing more strange, surely, than the sight of sunburned Brits in shorts struggling to hit long irons out of the rough. Quinta da Ria sits right alongside, every bit as beautiful and more popular among the members principally because it enjoys better sea views. Environmental considerations have prevented the course from encroaching closer than 50 metres from the Atlantic, but that’s quite close enough. And the sea is not the only water to watch out for as a number of ponds and lakes come into play on half a dozen holes. These are home to a wide variety of waterfowl which, even though their unwelcome excrement renders cleaning the ball as imperative on a couple of the greens as it is unpleasant, they unquestionably add to the course’s considerable appeal. Drive a few miles inland and up a modest mountain or two and you will arrive at the course which has generated the biggest stir in the area since the Great Earthquake of 1755. Although not quite as much earth was moved to make the much vaunted Monte Rei as was shifted all those years ago, it’s probably a close run thing. It’s such a wonderful course that God will almost certainly have forgiven Mr Nicklaus for being so presumptuous as to attempt to improve upon what He had created. The truth is that Jack has undoubtedly succeeded. Armed with a massive budget, the Golden Bear has produced something which is nothing short of stunning. With extraordinary attention to detail and presented in pristine nick, it rolls around the hills and valleys in spectacular fashion. It’s not cheap but with an immaculate driving range before the round, iced towels served up during it and an engraved commemorative bag tag presented after it, you’ll savour every memory as you sit on the terrace of the magnificent marble-floored clubhouse and look east towards Spain.